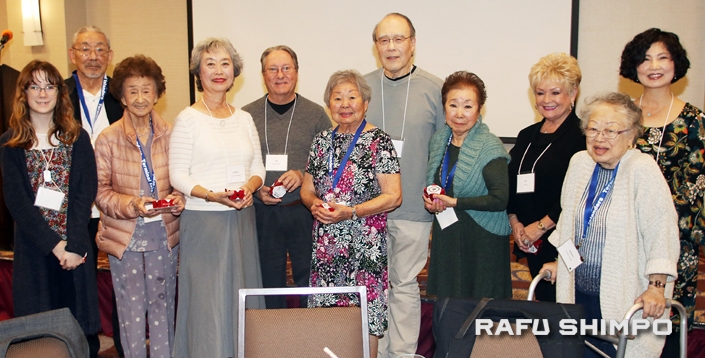 The Year of the Boar was celebrated by the original Terminal Islanders, their families and friends on Jan. 20 at the 48th annual New Year’s party held at the Holiday Inn Airport in Long Beach. Here the attendees pose for a commemorative group photo to mark the occasion. 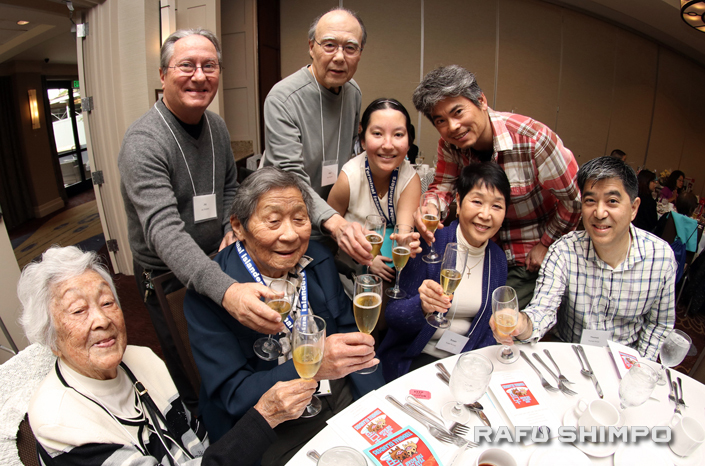 Ichiro Sato, 95 years young, happily toasts the new year with his table guests. Those born in the Year of the Boar are given a gift to commemorate the event. 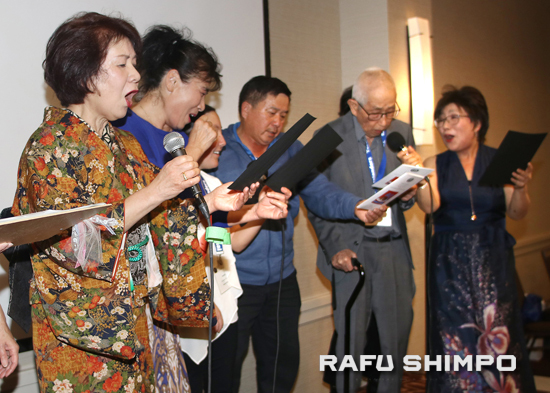 L.A. Kayo leads in sing-along with attendees participating. 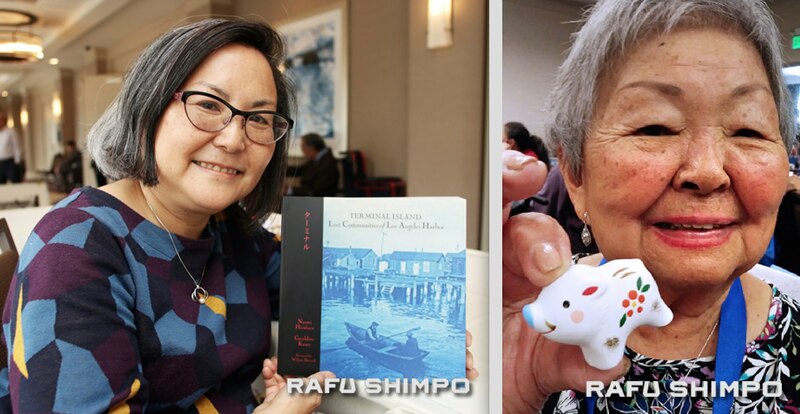 Left: Naomi Hirahara, former Rafu English editor and prize-winning author, was on hand to sign her book about the Terminal Islanders. Right: Vice President Asako Miki holds the “inoshishi” figurine given to those born in the Year of the Boar.